Calling all footie fans: The Catalan Tourism Board has given us a pair of tickets to the July 25th FC Barcelona vs Manchester United match at Levi's Stadium in Santa Clara. And we want to give them to you! Get out of that sports bar and into the action: The game is sold out, so these tickets are hot! If you're 21+ (because what's a game without a few beers? ), fill out the form below by July 22, slip on your lucky socks/hat/scarf/undies and cross your fingers—you just may be our winner. CONTEST RULES: One entry per person. These competitions are open to any U.S. resident (unless otherwise stated) except employees of Time Out and sponsoring organizations, their agents or anyone directly connected to these promotions. No purchase required for this promotion. Contest valid 7/10/15 through 7/22/15 at 11:59:59am PST. Winners must be 21 years of age or older unless otherwise stated. Prizes are as described above; no cash alternatives will be given. Prizes may not be sold, traded, transferred or refunded. Any and all federal, state and local taxes are the responsibility of the winner. If for any reason winners are unable to use prizes within the time specified, the participating organizations are not responsible for providing replacement prizes. No make goods will be given in the event of a canceled or rescheduled event. Approximate retail value: $390. DISCLAIMER AND WAIVER: Time Out does not endorse or make any representation about the prize or quality of the services that are part of the prize. By participating in this contest, entrants agree to receive promotional emails from Time Out and waive any claims against Time Out arising out of use of the prize and related services. The odds of winning are relative to the number of correct, eligible entries received; winners will be drawn at random from this pool. 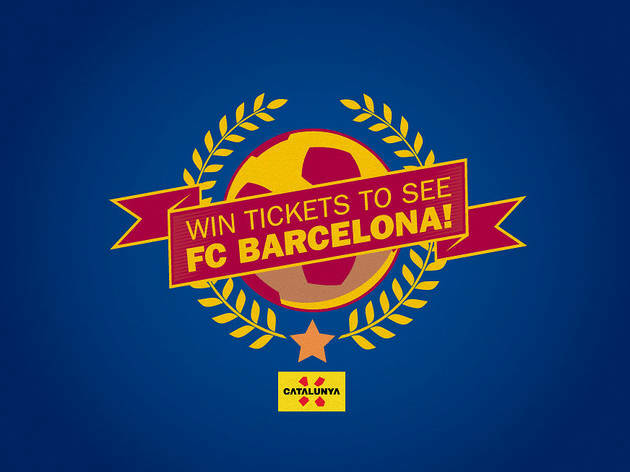 ALTERNATE METHOD OF ENTRY: To enter without registering to receive promotional e-mails from Time Out, send a 3x5 card with your full name, e-mail address & phone number to FC Barcelona vs. Manchester United Ticket Giveaway at Time Out, Time Out,7083 Hollywood Blvd. Los Angeles, CA, 90028. Mail-in entry must be received by 7/20/15 in order to be eligible. All entries become the property of Time Out. Any ambiguity in questions or answers will be resolved at the sole discretion of Time Out. The decision of the judging committee is final. Entrants agree to cooperate with publicity that may arise. For a list of winners' names, send a SASE to FC Barcelona vs. Manchester United Ticket Giveaway ℅ Time Out, 7083 Hollywood Blvd. Los Angeles, CA, 90028.